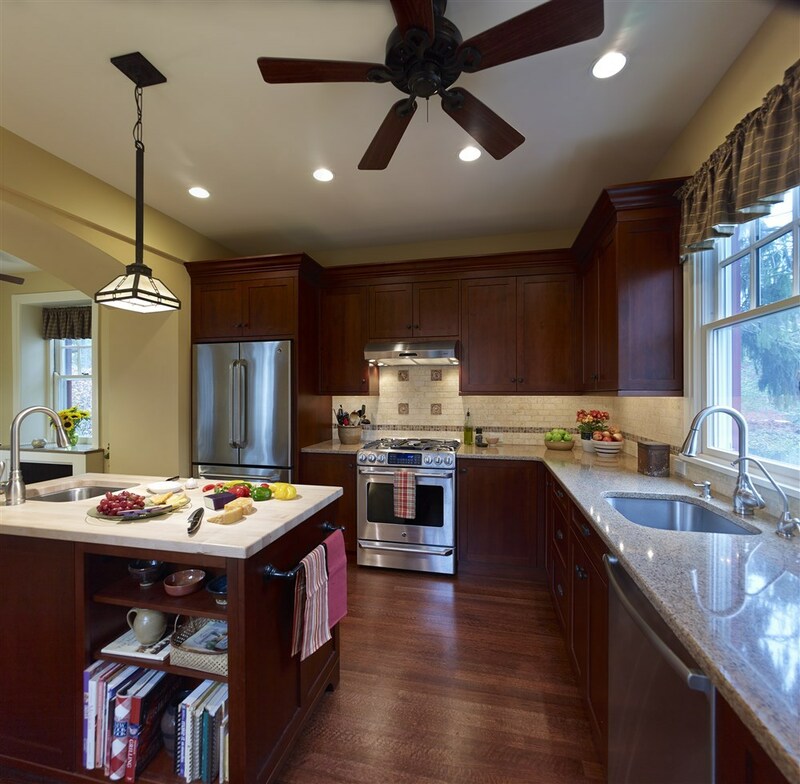 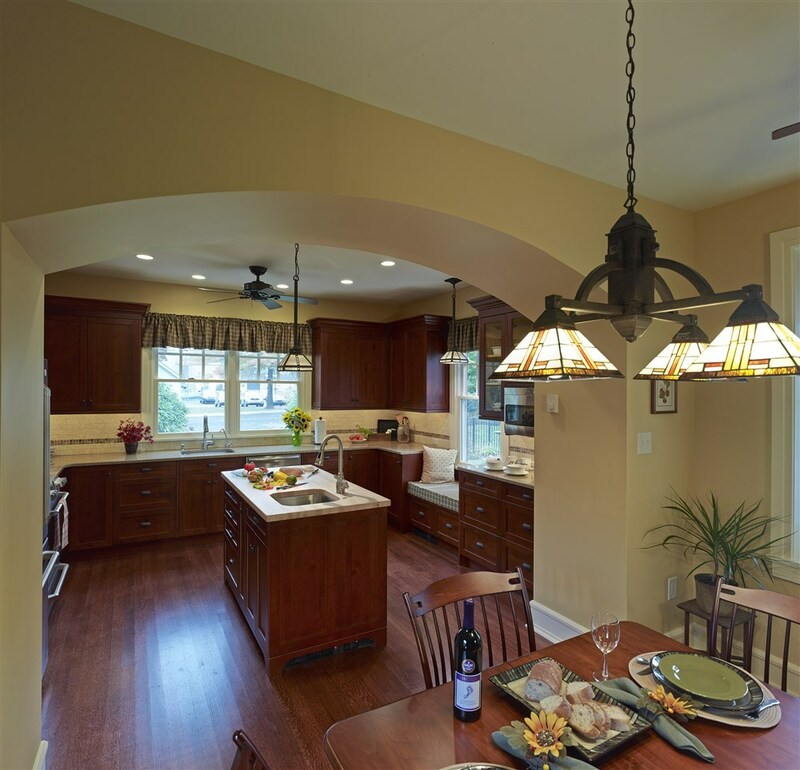 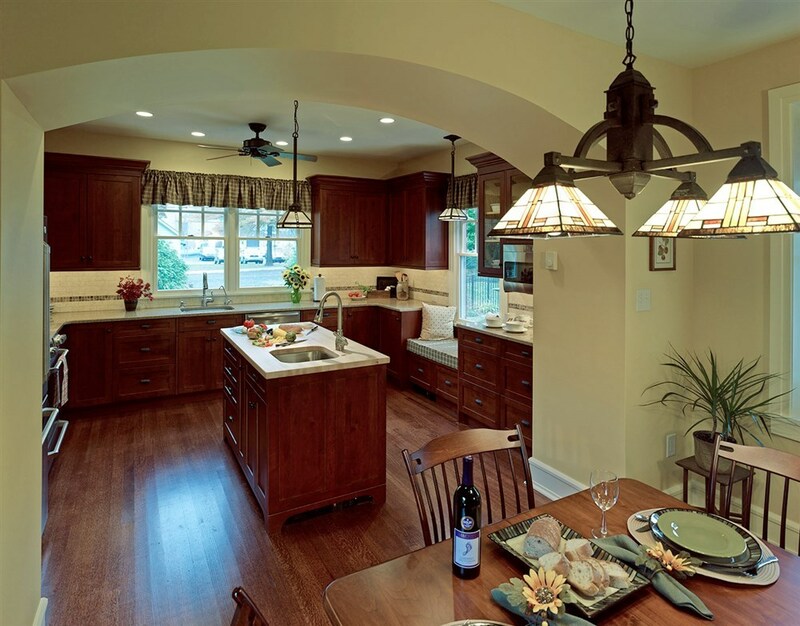 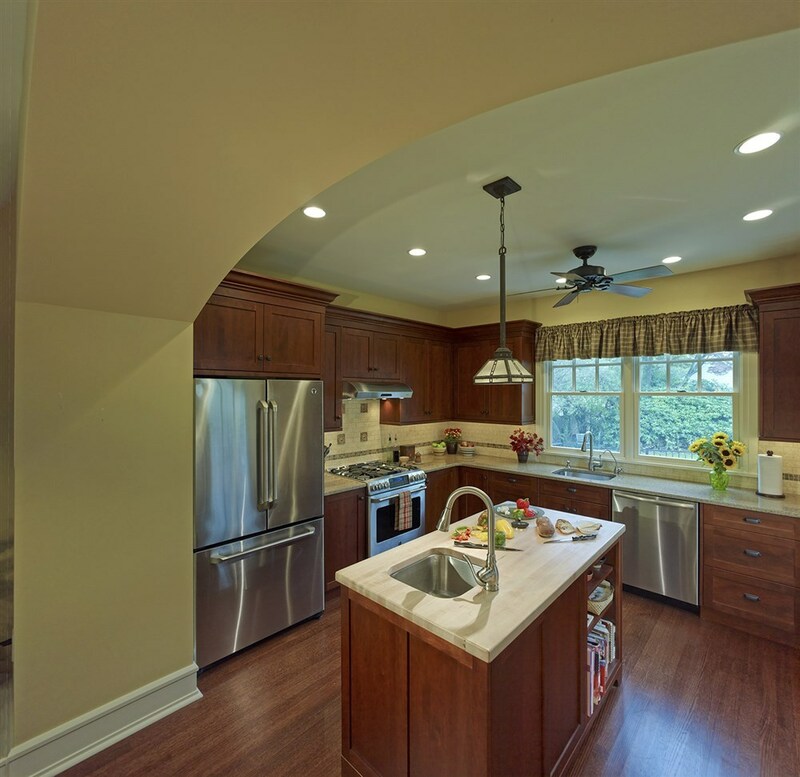 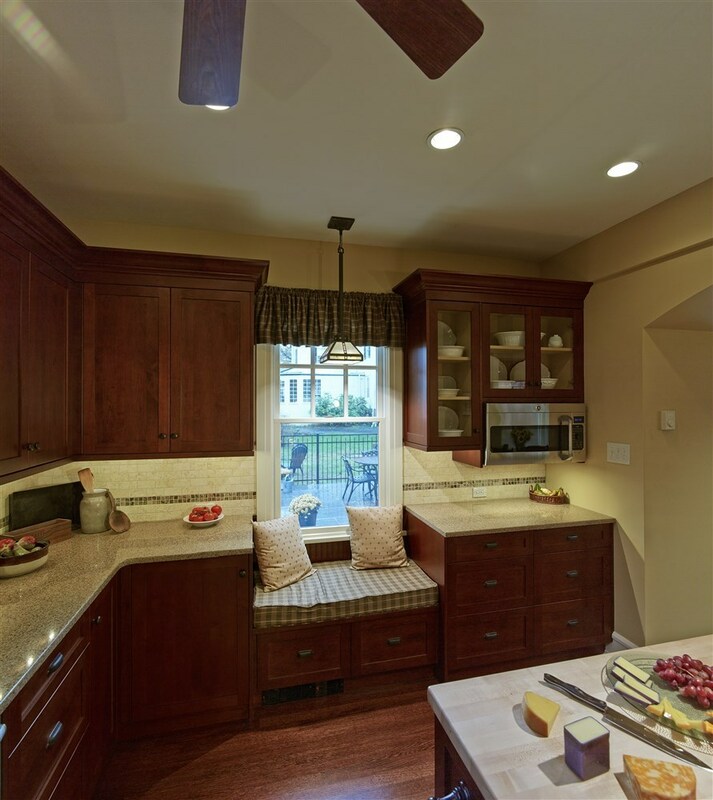 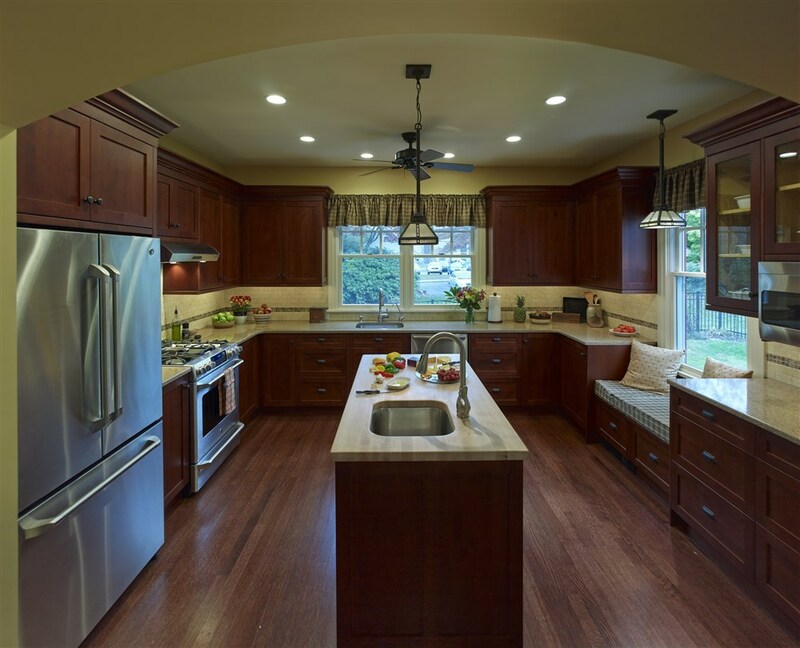 This kitchen was created as part of an addition we designed and built for a client in North Wales PA. 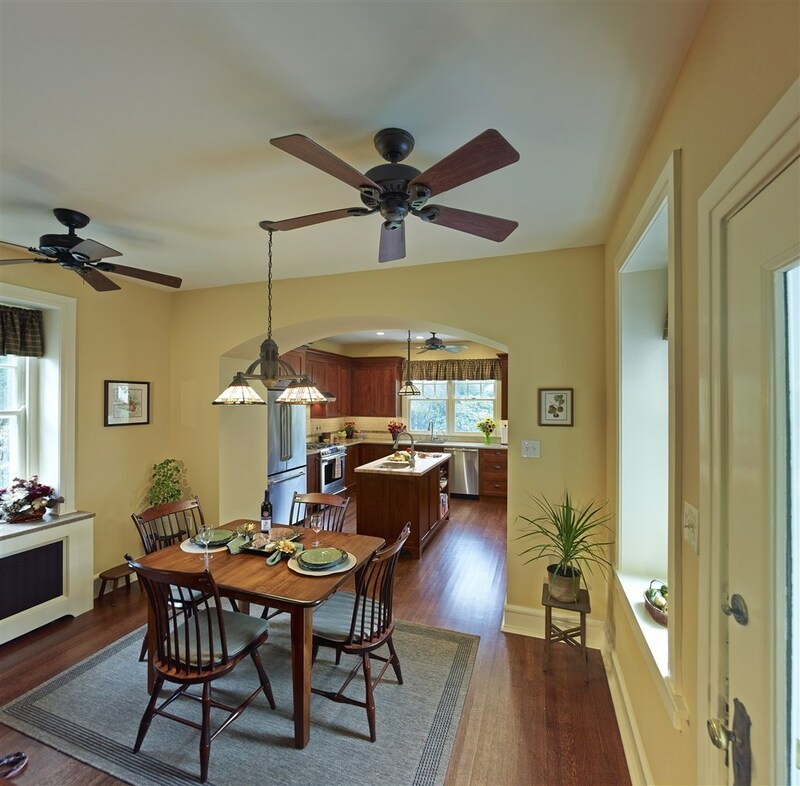 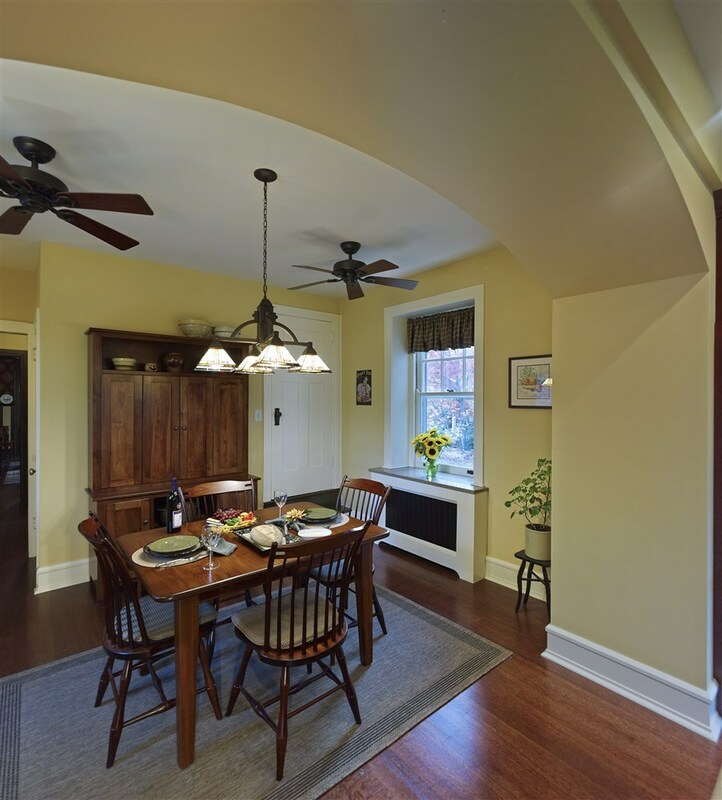 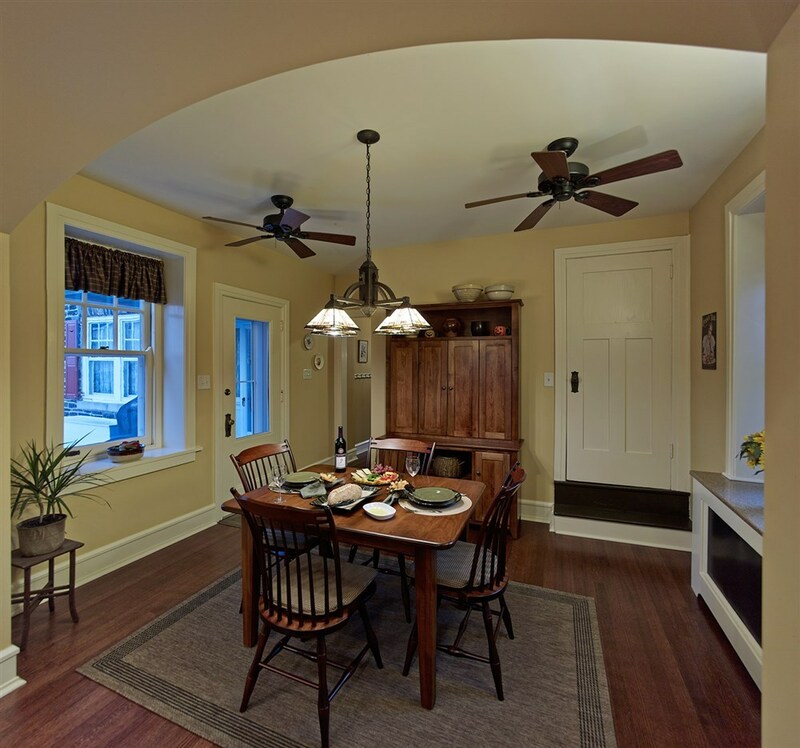 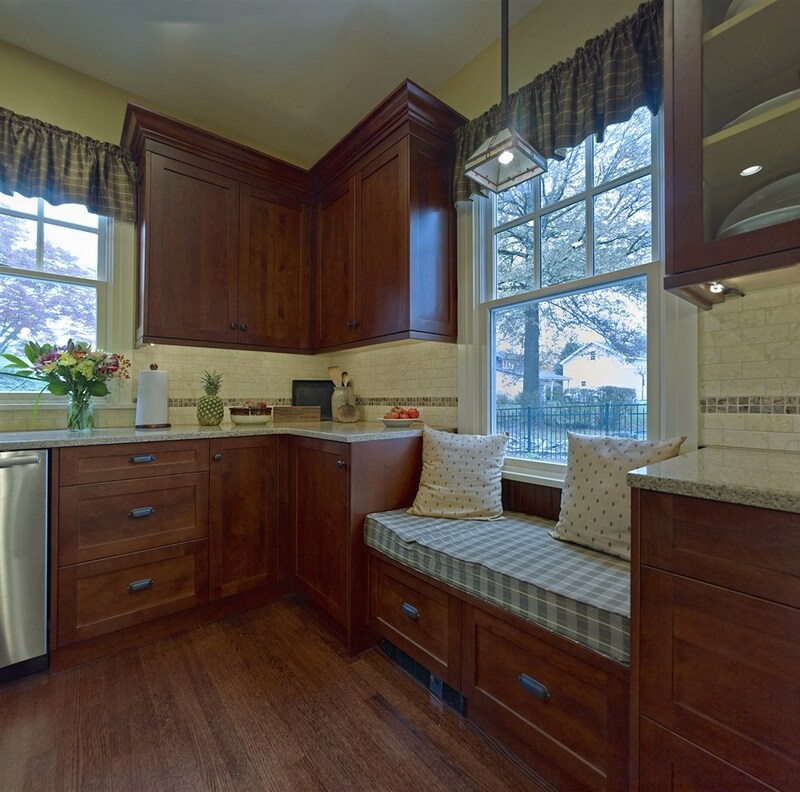 The Talora Cabinetry beautifully blends the new with the old in this historic home. 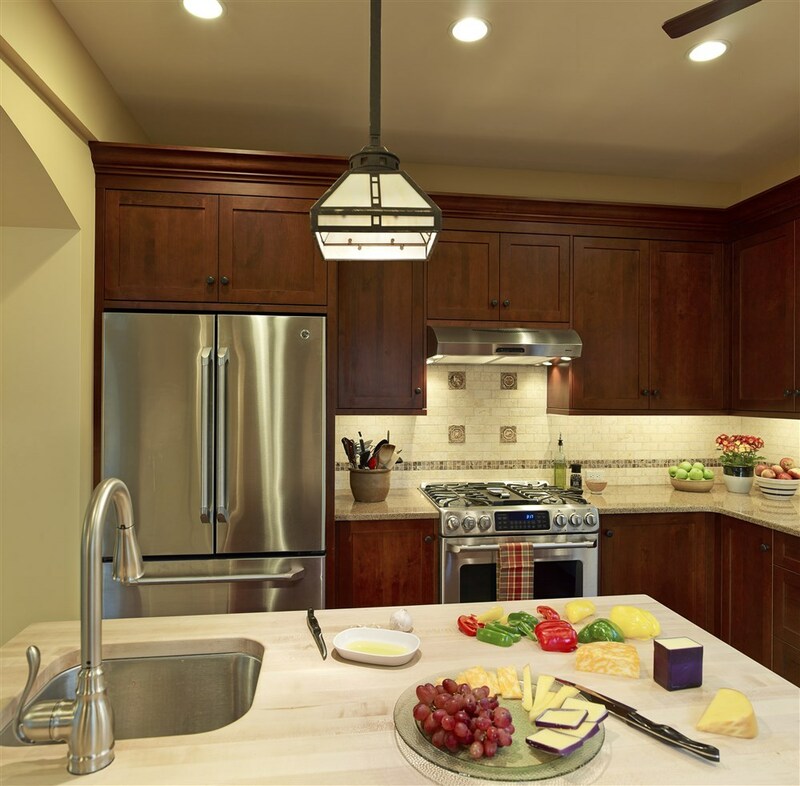 Rift sawn red oak flooring, a maple butcherblock island countertop and vintage styly light fixtures add to the historic ambiance of the space.